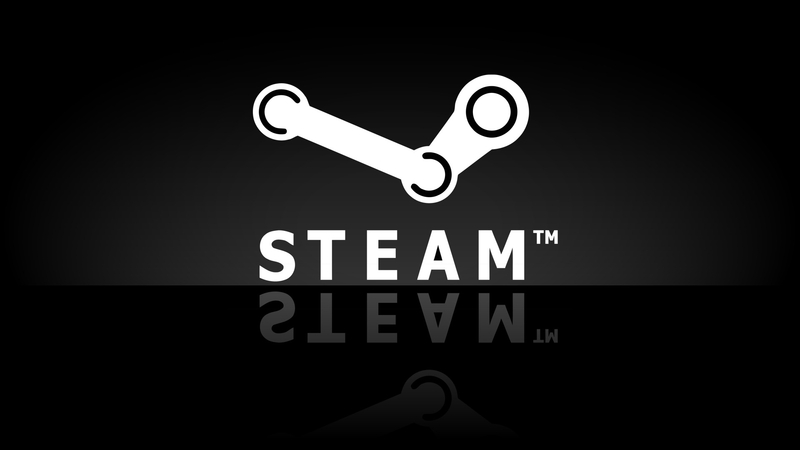 I sorta like my friends on Steam, but I rarely want them to know when I log in until I’m ready to hang out and play some games. 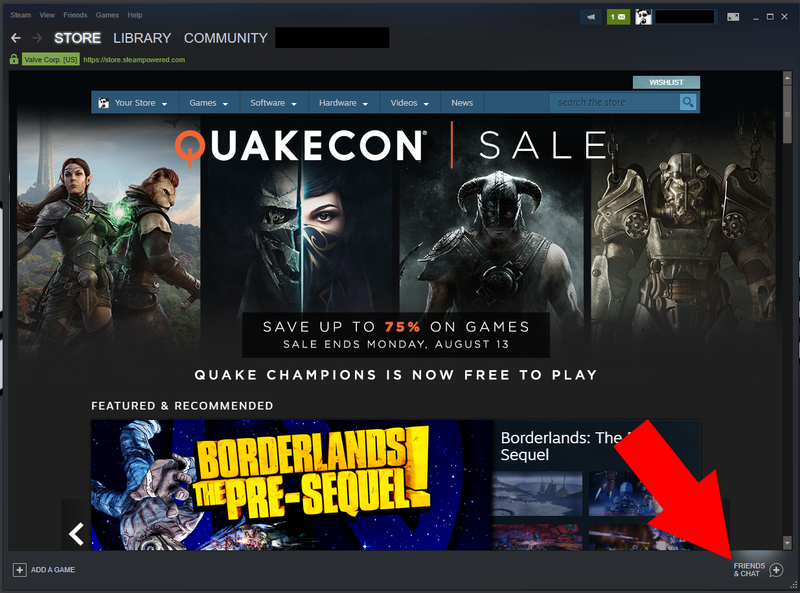 Thanks to the recent update to Steam they decided I should be a bit more social, whether I like it or not. So I decided to put together this simple tutorial for those fellow antisocial folks who don’t want to be told when they need to be friendly. Now that you have your ‘friends’ chat program up and running head on over to the little cog to the right of your profile just under the minimize, maximize, and close tabs and give it a click. 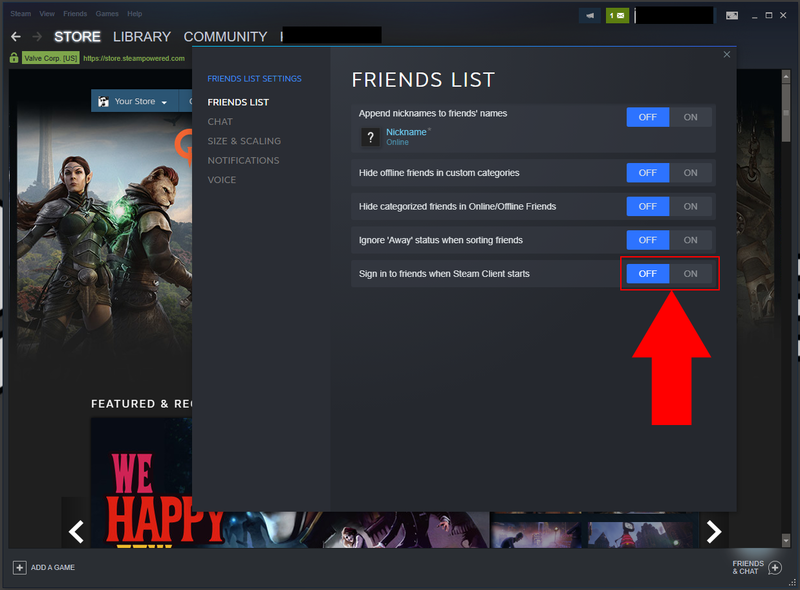 Now that you have the options screen pulled up for your friends and chat you’ll find the holy grail right there at the bottom, flip that tab to the left and say goodbye to your friends! Well, until you’re ready to announce your presence. You’ll just need to make sure you restart Steam for it to take effect. The entire process is easy enough and most people might have already found this out by the time I was able to get it uploaded, but I wanted to bring this to those who may have not realized what was going on. 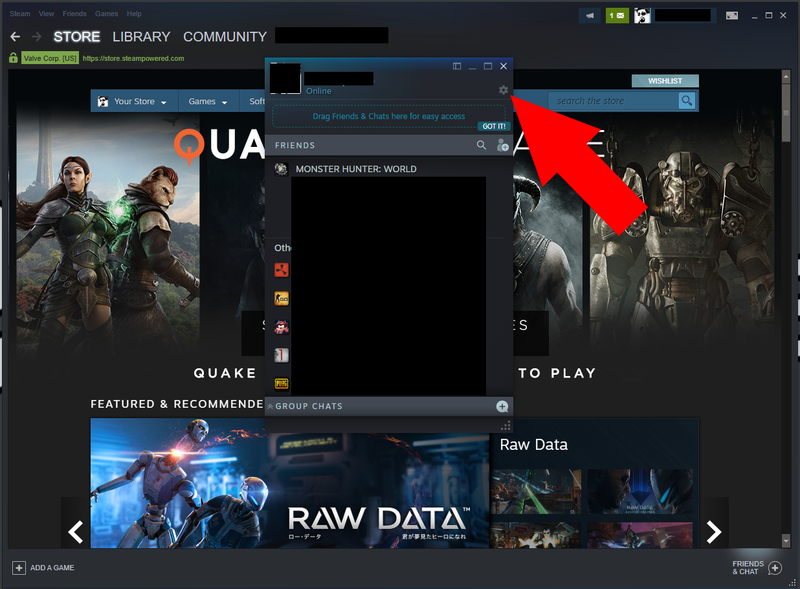 I enjoy playing games without the constant popups alerting me to my friends every move, but sometimes I do want to let them know I’m down for a round of PUBG or to catch up in some Monster Hunter World. Let us know how you like these style of tutorials and we’d be happy to keep things pumping. Here is a video version for those who don’t like reading, so I put it at the end of all the words for your convenience.